~ kate's tales ~: Now, where did I get to? 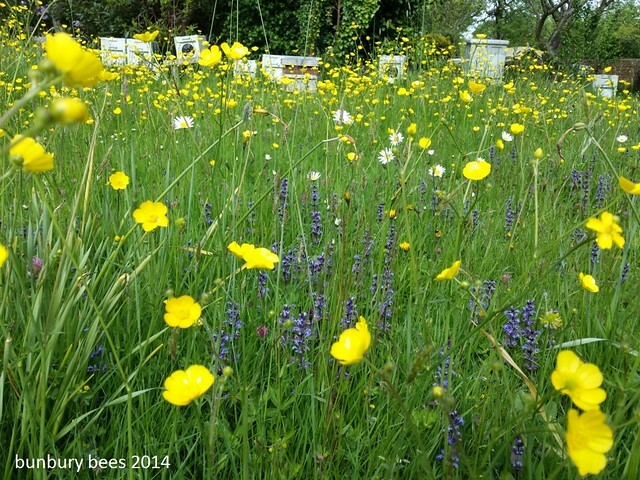 It's been a busy couple of weeks here at Bee Central. More captured swarms, more artificial swarms, and many many bees. Chris and I have to remind ourselves not to complain about the amount of work involved because it is all so good, but it is easy to get a bit overwhelmed at times. Today, I finally managed to get numbers on all our hives so that we can keep track of which one is which. When we only had a few it was easy to tell them apart, but now we have so many I need a spreadsheet to keep everything in order. I do love a good spreadsheet. Over the last couple of weeks our efforts have been hampered slightly by wind and rain which has made it difficult to get the hives open to do our inspections. But we have still managed to collect three more swarms, including one which was hidden in the long grass on the allotment. We had gone to the allotment to collect another swarm, and didn't even realise this second one was there until we went through it with the strimmer. Fortunately most of the bees were unharmed, and seemed grateful to be rescued from their plight. I think they must have been there for some time as they were very small - a sign that they had used up all the honey that they fill themselves with before swarming. They're now safely tucked in a hive and will hopefully grow and flourish. In between beekeeping we have made good progress on the allotment itself, digging over several beds and planting some small plants that I purchased at the farmer's market. There's still a good bit to do, but it feels very good to have made such headway. It's hard to get things done sometimes because there is so much at the allotment to distract me, like this 'bee hotel' that hangs on the shed where mason bees nest. 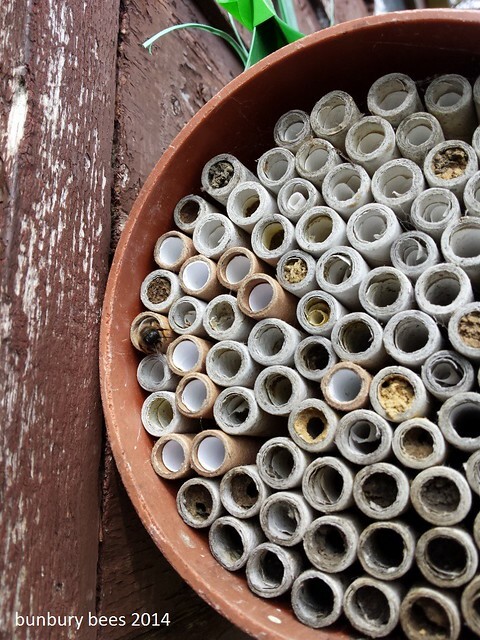 You can see some of the tubes are filled, some of them have had a bee hatch out of them, and there is a bee that was just visiting emerging from the side. We have spent today clearing some land that will be used for beehives. It's very close to our best apiary so I'm hopeful that it will be very successful. 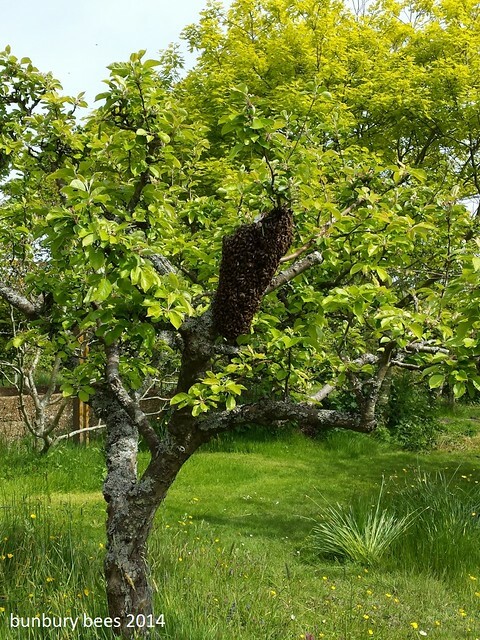 John and Sue, our apiary hosts, have been very tolerant of our rapid expansion but it will good to clear some space so that they can get back into their garden!